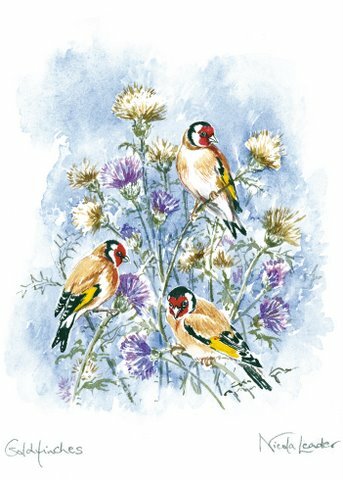 All cards are printed from original paintings by Nicola Leader. All cards are blank inside and measure 5” x 7” (12.7 cm x 17.8 cm). They are supplied with white envelopes and are individually wrapped in polythene. Cards cost £1.00 each. Postage is FREE within the UK for 50 cards and over.